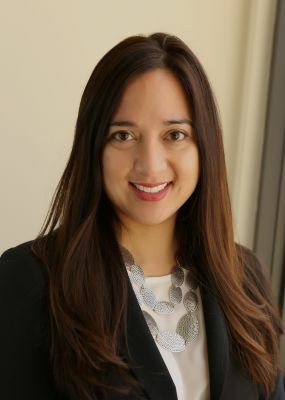 Maria C. Mariano Guthrie’s practice focuses on representing individuals and businesses in litigation matters in court cases and other kinds of adversarial legal proceedings such as arbitrations, mediations and administrative law proceedings. In addition to litigation of business matters, Maria also represents lenders and other financial institutions and creditors in commercial loan matters, foreclosures, bankruptcy and receiverships. Her practice also consists of advising clients in business and employment matters as well as real estate matters or disputes. She has represented title insurance companies in real estate litigation, title insurance defense, title priority disputes, title agent negligence, contract law, fraud, and foreclosure. Maria joined Carlile Patchen & Murphy in June 2011. She is a Partner at CPM and the Co-Chair of CPM’s Litigation Department. Maria is also a member of CPM’s commercial and employment law groups in CPM’s Business Department. She is licensed to practice law in Ohio, The United States District Courts for the Northern and Southern Districts of Ohio; including The United States Bankruptcy Courts for the Northern and Southern Districts of Ohio, and the United States Court of Appeals for the Sixth Circuit. Maria has considerable experience in representing large retail clients, ﬁnancial institutions, individuals, receivers, insureds and insurance companies, employers, and businesses in litigation matters. She also has experience in premises liability defense, products liability defense, bankruptcy, trade secret cases, non-compete agreements and related litigation, and shareholder litigation. Maria was appointed to a two year term for the Bankruptcy Judicial Liaison Committee (2011-2013) of the Columbus Bar Association. This committee is comprised of the Bankruptcy Judges, Trustees, several highly respected bankruptcy practitioners.